Welcome - The JBA Owners Club was formed in 1987 and currently has over 270 members in the UK, Europe, Malta and Australia. The Club exists to support members wherever they live in the world. Totally independent from the JBA factory, the Club is a non profit making organisation and is financed by subscriptions from its own members and from adverts in the Club Magazine. The JBA Falcon was originally produced as a individually or fully built road car by JBA Engineering Ltd between 1982 and 2004. A copy of the car was launched in 2011 and is now being produced by JBA Motors in Norfolk. The Club organises and attends a number of events throughout the year including our Annual General Meeting at The National Kit Car Show at Stoneleigh on first May Bank Holiday weekend. Please come in and have a look around our site. The Club produces an A4 full colour magazine three times a year full of useful information, technical bulletins and articles sent in by members about their travels and experiences with their JBA. 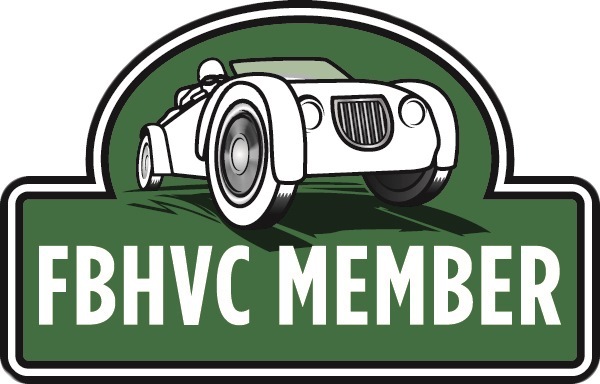 If you are planning to build a JBA or are purchasing a completed car, Club membership gives you access to the knowedge gained by all our members over the past 30 years. Included in membership is access to the members only pages on this site. The Club's Forum is a vibrant topical environment where members' exchange views and help each other. The Forum is free to use for six months then we ask you join the Club. Each region of the country has an area representative who can further advise or help with problems or issues that may arise. A number of events are organised throughout the year which allow members to meet other members in their area and nationwide. So go on - JOIN UP NOW !